The organisation is licensed with the Zimbabwe Revenue Authority (ZIMRA) as a customs clearing agent and can conduct such business at any port in Zimbabwe. It is also registered with the Government of Zimbabwe Tender Board (State Procurement Board, Ref: SPB/C/41/A of 13/12/2011). 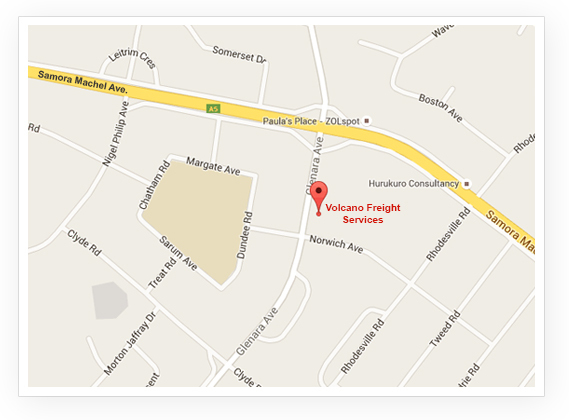 Volcano Freight Services is a member of the Shipping and Forwarding Agents’ Association of Zimbabwe (SFAAZ), which is an affiliate member of the International Federation of Freight Forwarders’ Associations (FIATA). To provide a highly reliable personalised and professional top quality global freight logistics service at very competitive rates through constantly exceeding the expectations of our customers and all other stakeholders whilst making a profit for sustainability and ploughing back to the community as a social responsibility. 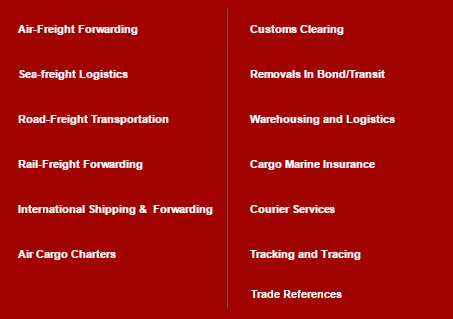 To be the most preferred freight forwarders and clearing agents in the country, region and the world over. We will only fulfil our mission guided by the following core values: - Customer focus, professionalism and dedication. We have corporately adopted the marketing concept and the product orientation. Through the marketing concept, we believe it is of paramount importance to identify the exact needs of our customers and schedule ourselves towards the satisfaction of those requirements more efficiently and more effectively than our competitors. We also believe in the product concept where quality of service is of great concern.